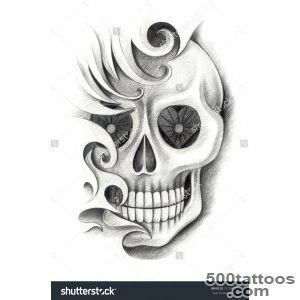 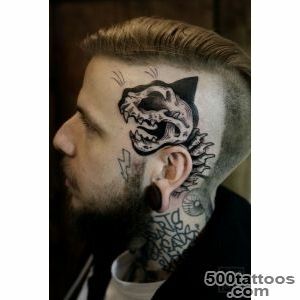 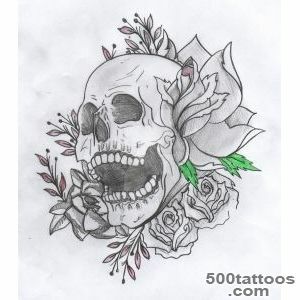 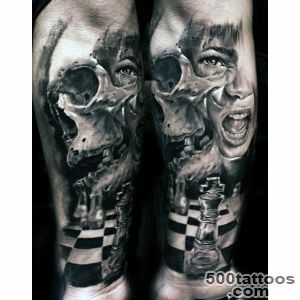 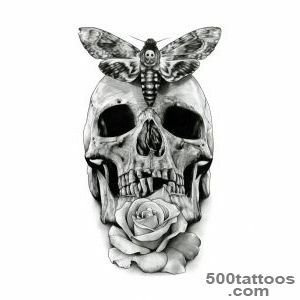 For most people, a skull tattoo mixed feelings , because in the general sense it is associated with death , danger and awareness of the transience of life. 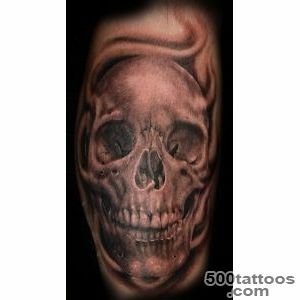 Skull with bones since ancient times associated with fear and horror , as he was a pirate symbol . 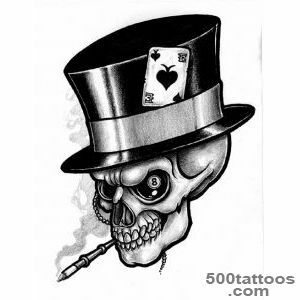 Often painted skull on his body crooks and gamblers ,whose life is connected with the constant risk and elusive luck to them a tattoo has become a symbol of despair . 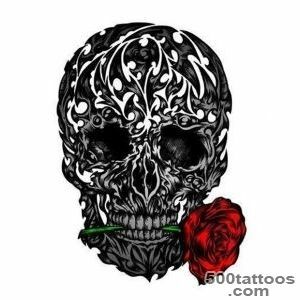 • In the Christian books written that after the death of the blood of the crucified on the cross of Jesus washed the skull of the first man on the earth , thereby redeemed the original sin of Adam and Eve . 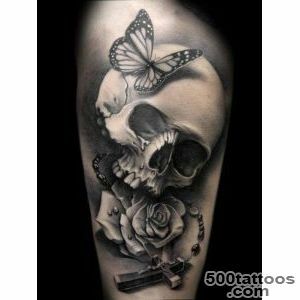 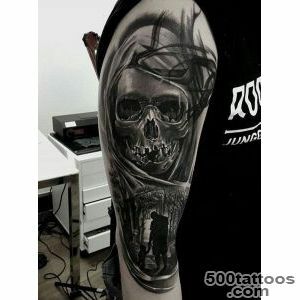 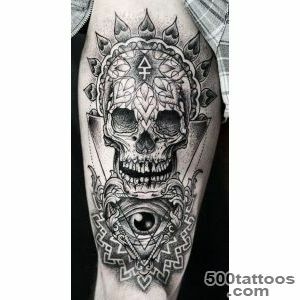 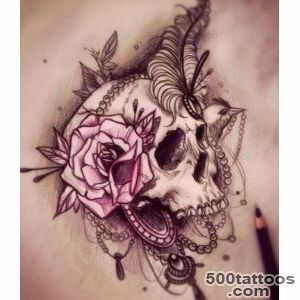 Therefore, Christian icons under the cross of the Savior depict a skull and crossbones .Today, tattoos are very popular image of a skull , each interpretation of the figure carries its designation . 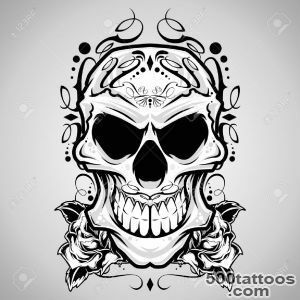 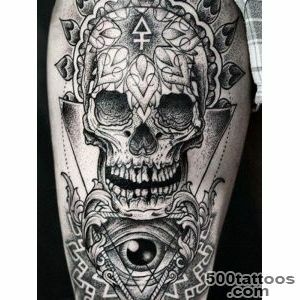 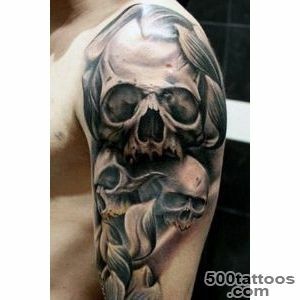 Tattoo skull in Criminal Matters highlights people who aspire to power, when pierced with a dagger through a skull - a vow to take revenge on law enforcement. 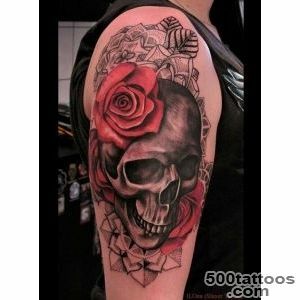 Skull and Rose represent the union of love and death ,demonstrating the unity of opposites . 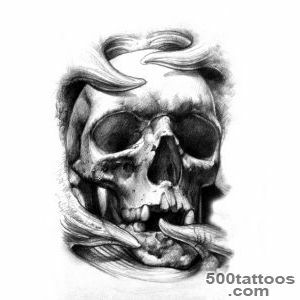 Skull and snake crawls out of the eye socket , symbolize wisdom and immortality , meaning that the knowledge and experience gained will remain on the ground after our death. 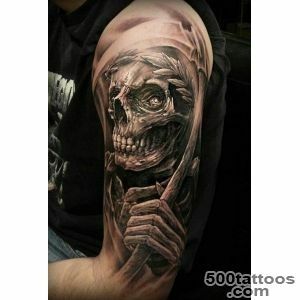 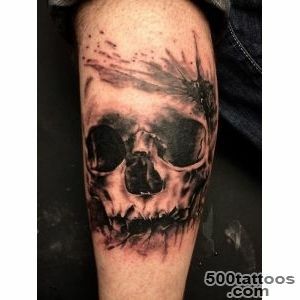 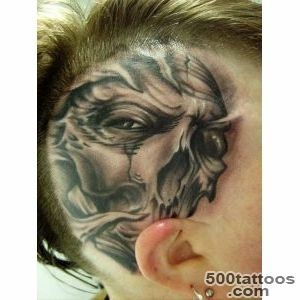 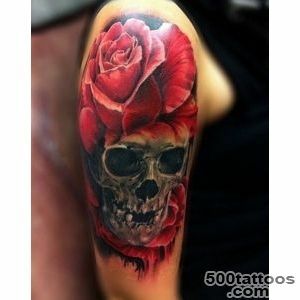 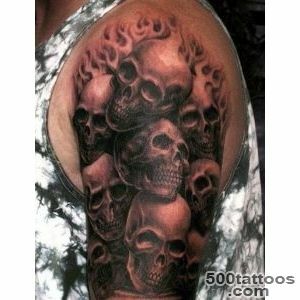 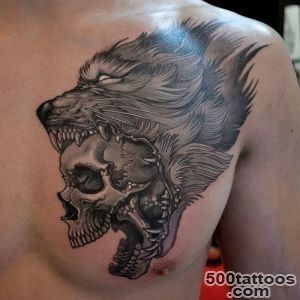 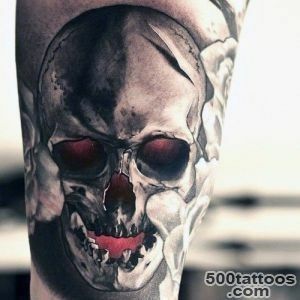 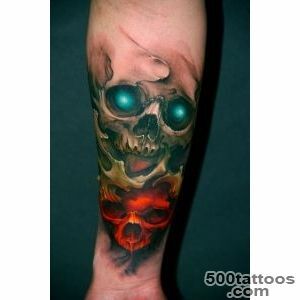 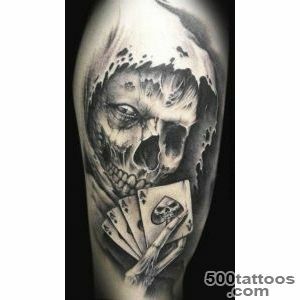 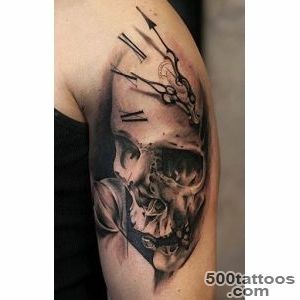 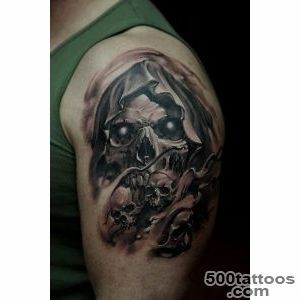 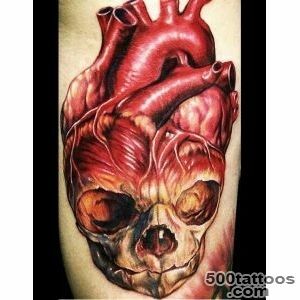 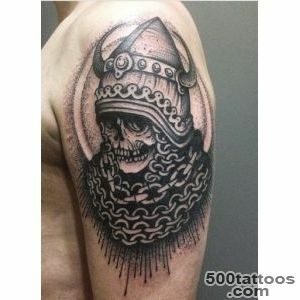 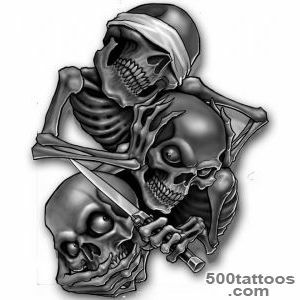 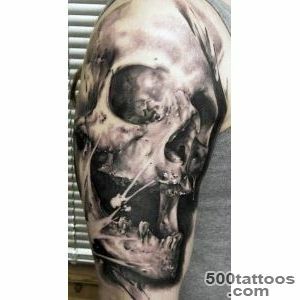 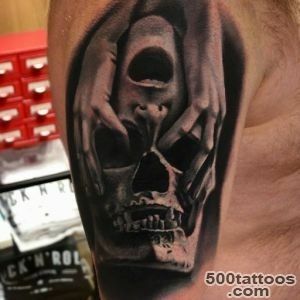 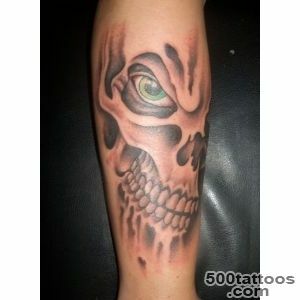 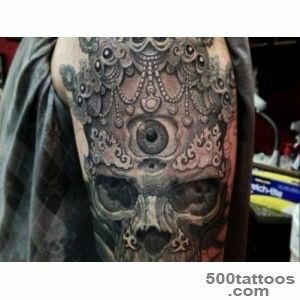 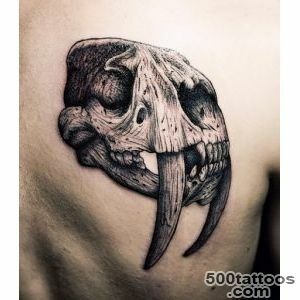 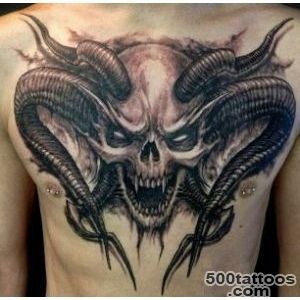 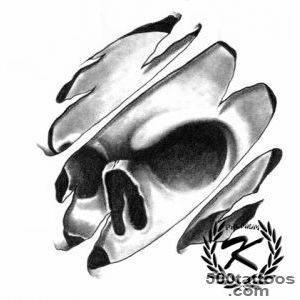 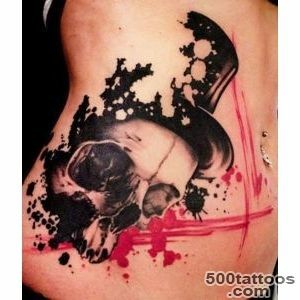 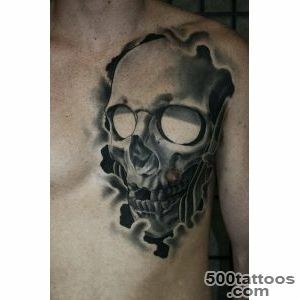 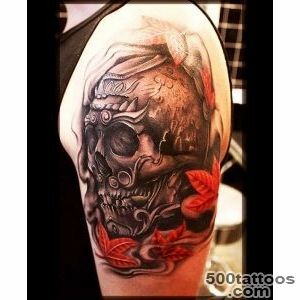 Bikers , rockers and metallers make a tattoo with a skull , because they consider it a kind of protection from the bony . 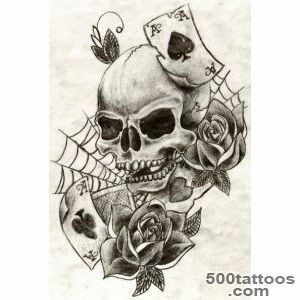 They are sure -" Skull " death scares and recalls that in life you need to take everything . 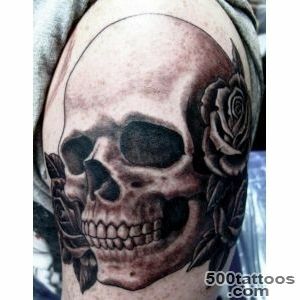 Teens put the meaning of the figure with a skull determination and courage , as if to say that they are ready to meet life's challenges and abrupt changes , taking them with dignity and without fear. 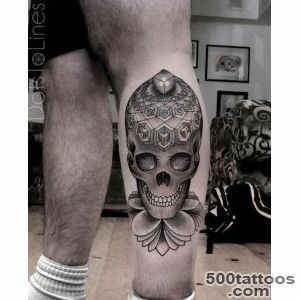 Inter alia,skull indicate masculine in nature and masculine qualities . 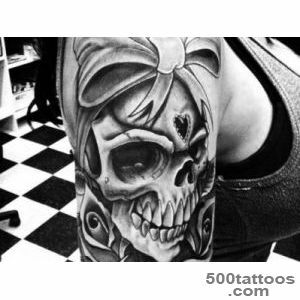 Sometimes a person who has made such a tattoo , it symbolizes hatred and forgiveness for the departed from the life of a loved one . 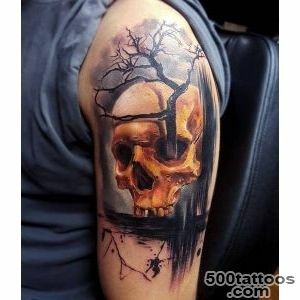 Every person depicted in your body skull invests in drawing its own individual meaning. 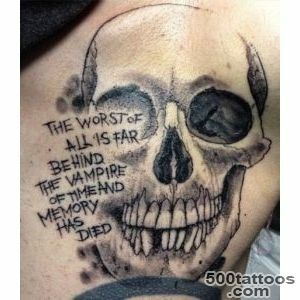 For someone - a memory of a loved one 's death ,for another - a symbol of wild hatred, for the third - a reminder of the transience of life.